Can I teleport from Second Life to an OpenSim world, or from an OpenSim world to Second Life? Can I teleport to InWorldz? No. InWorldz, as well as Avination, The Adult Grid, Virtual Highway, and a few others are closed grids, and are not accessible via hypergrid. Where are all the hypergrid addresses listed? Check out Hyperica and OpenSim Worlds, two of the biggest hypergrid directories. You can also join the OpenSim Destinations community on Google Plus. But there is no guaranteed way to find all the hypergrid addresses, just as there is no way to find every single website. What grid should I start on? You can start on any hypergrid-enabled grid. Here’s a list of the most popular ones. I recommend OSgrid. What viewer should I use? There are many viewers that work with OpenSim. I recommend Firestorm. Full list here. I tried to hypergrid somewhere, but it didn’t work. What’s up with that? Even if a grid is hypergrid enabled, it doesn’t mean that every region is. This decision is up to each individual region owner. However, once you’ve landed on a grid, you can visit all regions there by regular old local teleport. Some grids are hypergrid-enabled part time, such as, say, when school is not in session. Or only in the evenings, when the grid owner turns on their server. Your destination region might be down or may no longer be hypergrid-enabled. Your starting region might no longer be hypergrid-enabled. Try a different starting region in your grid. Your starting grid may no longer be hypergrid-enabled. Try starting on a different grid. Your destination region may be running a slightly different version of OpenSim. Your destination might be too close. Ironic, but true! If your destination region has the same exact coordinates as your starting region, the teleport will fail. Your options are to try a different destination, try from a different starting point, try at a different time, or try with a different viewer. Sometimes, jumping via a third location works. The hypergrid is relatively new and evolving quickly and there’s a lot that has to happen just right for a teleport to be successful. Why are hypergrid addresses so complicated? The first part of the hypergrid address is the Internet address — or the domain name that points to that address. Some grids have a website on their main domain name, and the grid on a subdomain. So, osgrid.org goes to the main OSgrid website, while hg.osgrid.org goes to the grid. The next part of the address is a number that refers to the server port the grid is on. A single server can host a number of grids. Typically, these port numbers are 80, 8002, and 9000, but it could really be anything. Hyperica’s main hypergrid address, for example, is hg.hyperica.com:8022. The last part, which is optional, is the region name. So, for example, Wright Plaza on OSgrid is hg.osgrid.com:80:wright plaza. Does hypergrid pose a security threat to my grid? Hypergrid allows people who haven’t registered with your grid to come and visit. They might be trouble makers, or hackers out to steal your content. If you close your grid to hypergrid teleports, then only registered account holders can get in. For grids serving a closed community, such as an education grid or a private company grid, this may be necessary. Grid managers looking to attract visitors from other grids should be aware that people can be reluctant to create new avatars, and may prefer the ability to use hypergrid teleports instead of registering for a new account. 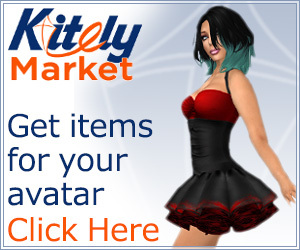 There are only so many avatars a single person can keep track of. Grid owners can also choose to block individual avatars, or block avatars from certain grids. Does hypergrid pose a security threat to my inventory? Theoretically, any region owner — hypergrid-enabled or not — can give themselves “god” status and take any content you put down on their region. In addition, it may also be possible for a region owner to listen in to conversations between your browser and your inventory storage. They can then copy inventory, delete inventory items, or add spam items to your inventory. There have been no reported instances of this happening, and if it did, grid managers would likely take the offending region down immediately. I have a little minigrid on my home computer. Can I hypergrid to other grids? If you are running a home-based standalone grid, hypergrid is a great way to stay connected to the larger metaverse. I recommend the Diva Distro of OpenSim if you want hypergrid to be pre-configured, and, as a bonus, you get a four-region megaregion to play in. You can even go shopping on other grids and bring content back to your home grid to decorate your virtual home or office. Remember to keep your region up-to-date, however, by regularly running the “update” utility included with the Diva Distro, to avoid becoming incompatible with other grids. You will also have to open up ports if you are using a router, to allow the outside world to access your grid. This is the trickiest part of setting up a home-based grid.